Joe Dondero, 90, has been umpiring baseball and softball games in town for 50 years. FAIRFIELD — As Joe Dondero stands behind the backstop at the Sherman School softball field, he’s greeted with shouts of “Hey blue,” one of the kinder nicknames for umpires. 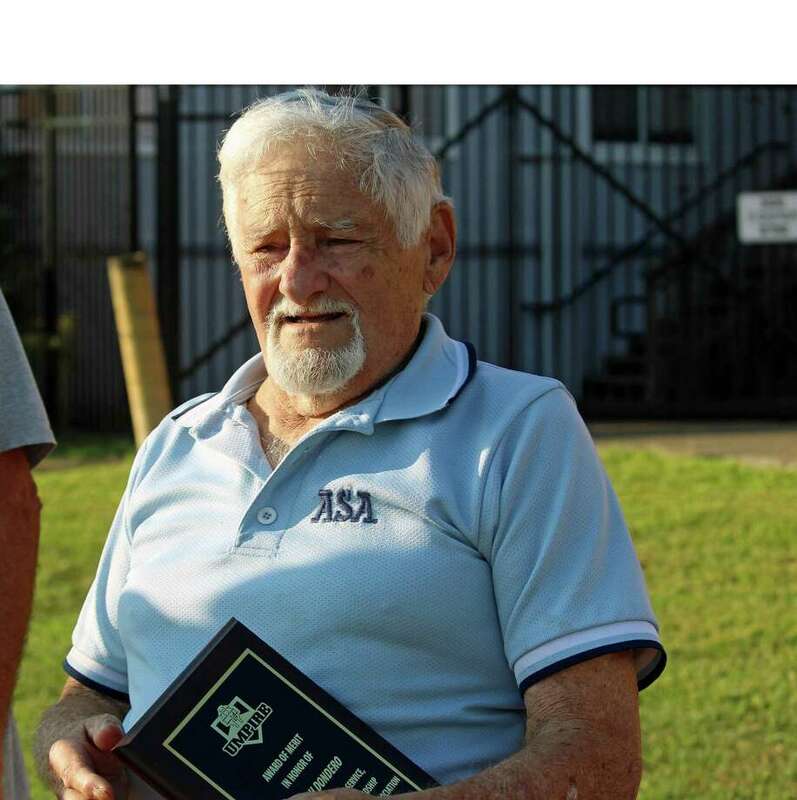 At age 90, the lifelong Fairfield resident still calls balls and strikes for Parks and Recreation softball leagues. And he’s been doing it for 50 years. “I did college ball, fast pitch, slow pitch, Sacred Heart, Fairfield U., Little League,” Dondero said as he waited for a game to get underway. Dondero said he took a test to become an umpire years ago, and he’s a member of the Fairfield County Umpire Association. At one time, you could find him behind the plate not just in Fairfield, but Bridgeport and Milford, too. There are softball games four nights a week, but these days, Dondero said, he usually just umpires one game. “Unless Jimmy (Staneck, softball commissioner) calls me and needs someone, then maybe I’ll do two. But I’m happy with one,” he said. Dondero said his wife would like him to slow down. In addition to softball umpiring, Dondero is at the Senior Center twice a week playing pinochle and on the golf course twice a week. Staneck was on hand Wednesday to post the playoff brackets and present Dondero with a plaque honoring his years of service. While he said he has mellowed over the years, Dondero said he is not afraid to toss a player from a game. He said it was winters in Florida, watching a particular umpire down there, that helped cool him down behind the plate. Umpires get paid a small stipend per game, but Dondero said he doesn’t do it for the money. “I just come down to argue,” he said with a laugh. He stopped umpiring Little League games, he said, because of the parents. When parents asked him why, he said the kids in the outfield just want to play, they don’t want their parents to argue. A civil engineer for the city of Bridgeport for 36 years — he decided one Friday in 1989 that he was done and quit. Dondero also used to play softball. In fact, he played ball up until age 83. “We stopped because we couldn’t get 10 guys together,” Dondero said. He recalled playing ball in Stratford and having an umpire who said he was 93. This summer has been tough, Dondero said, with the extreme heat. Dondero said umpiring is a profession he would recommend young people look into. “I thought about it. The money’s great,” he said.